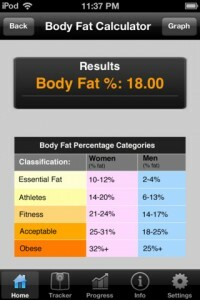 Fitter Fitness Calculator & Weight Tracker is an iPhone app developed by MigoApps LLC. This full-featured free fitness app lets you track your BMI, percentage of body fat, basal metabolic rate, and more. Better still, you can track your info over time using charts. Fitter Fitness Calculator & Weight Tracker doesn’t offer tools for tracking your daily caloric intake, and you have to upgrade to get some of the cooler fitness. But honestly, I don’t need or even miss those features. 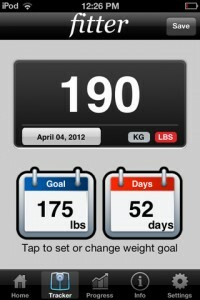 Just as it is, Fitter Fitness Calculator & Weight Tracker works great. Fitter Fitness Calculator & Weight Tracker is not the app for you if you’re looking for a tool to measure both weight loss and calories eaten each day. But if you don’t need a tool to help you measure your calorie intake, this app provides a wealth of health data that is easy to calculate and track. It may lack some bells and whistles in its un-upgraded form, but even the free version of the app is definitely worth adding to your phone’s app library.